This week, a proposed list of new rule changes for the upcoming season came to light. One of them is a universal designated hitter -- outlawing pitchers from being able to hit in the National League. The American League has had the DH in place since 1973, but the NL voted against it in 1980 and has resisted the notion ever since. The pros, of course, are that the DH would create more offense, but baseball purists (like Jon Hamm?) think the entire idea of having a full-time hitter is an abomination to the sport. It's not in line with how the game's always been played. Although I wouldn't say I'm a baseball -- or just overall life -- purist, I do like pitchers hitting. I like to see them struggle. I like to see them hit the occasional dinger. I like to see Rich Hill run to first. The DH in the AL is great and the pitcher hitting in the NL is great. Here are four arguments to back up the cause to let pitchers hit. The idea of having a universal DH goes back to the late 19th century. And in the early 20th century, manager Connie Mack made that very suggestion during a meeting between the National and American League rule committees. Opponents argued that having the pitcher pitch and bat is a cardinal rule of baseball (sound familiar?) and "the better remedy would be to teach him how to hit the ball." "While there is no official record of the longest hit made in a professional game of base ball, Jack Cronin, the Providence pitcher, claims the distinction of accomplishing this feat, and his contention is backed up by Manager Stallings, of the Indians, who saw him do the trick. Cronin made his mighty swat in the city of Minneapolis in 1900, when he was a member of the Detroit (American League) team, which was at the time managed by Stallings. According to Stallings, the sphere traveled a distance between 700 and 800 feet before it fell to the ground and Cronin had time to walk around the bases two or three times before the ball was recovered. Cronin made the homer off Red Ehret, who was pitching for Minneapolis." Even if he's lying (which he is), I give Cronin full credit for thinking it up, thinking people would be convinced and going with it. Going to ridiculous lengths like this is justification enough for me. If you don't agree, then tell it to this very intimidating photo of Jack Cronin. I mean, wouldn't you miss this kind of stuff? The best pitcher of his generation getting wrecked by a silly old pitcher? And, although rare (which makes it even more fun), we wouldn't have the great hitting pitchers who could surprise with every turn of at-bat. The Carlos Zambranos, the Sloppy Thurstons, the Mike Hamptons of the baseball world. Bartolo Colon? Rich Hill? Dae-Sung Koo? And then there's the other side of the spectrum: Pitchers who aren't good at hitting, yet continue to entertain. We see ourselves in them. Who will wear jackets on the bases? 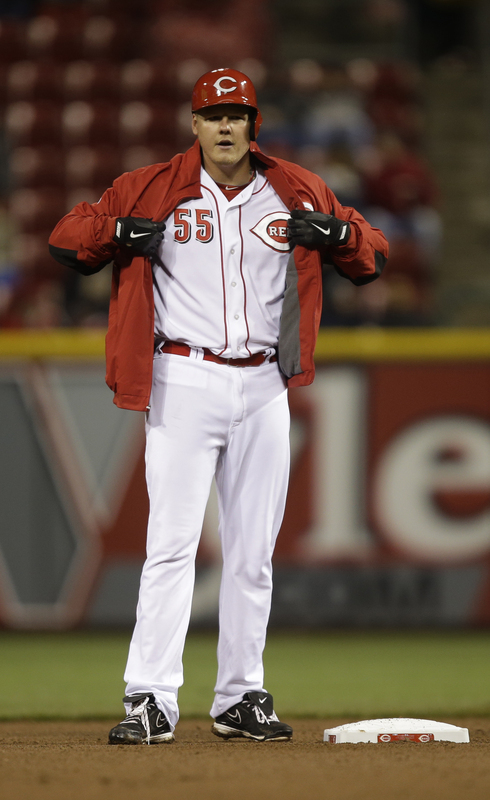 It's one of the low-key weird things about baseball: Pitchers can wear jackets while running the bases. Nobody else can. I get that it's to keep their arms warm, but really? Is it really doing that much? Baseball is in the summer. Summer is hot. What will this not-really-active Twitter account tweet? Let pitchers hit. It's fun and you'll miss it.